Graham Chaffee is an underground cartoonist who is best known for his recent work as a tattoo artist. But now he has returned to graphic storytelling with his new hardcover black & white book called Good Dog. He’s been previewing the artwork on his web site. “Ivan, who is plagued by terrible nightmares about chickens and rabbits, is a good dog—if only someone would notice. Readers accompany the stray as he navigates dog society, weathers pack politics, and surveys canine-human interactions. 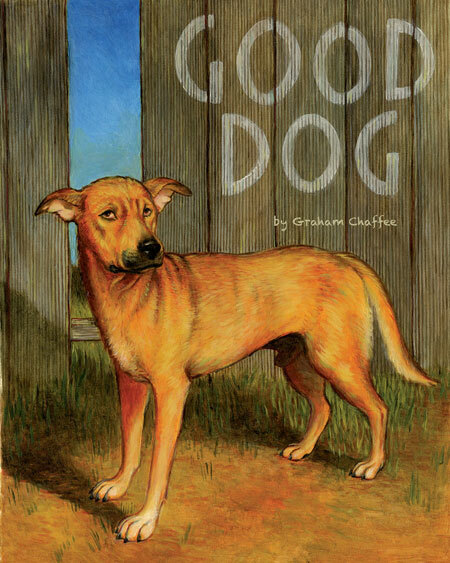 Good Dog’s story and pen-and-ink art are deceptively simple, but Chaffee uses the approachability of the subject matter as a device to explore topics such as independence, security, assimilation, loyalty, and violence. Preteen-and-up dog fanciers, especially, will warm to the well-meaning Ivan and his exploits with a motley assortment of Scotties, Bulldogs, and mutts. Chaffee combines illustrative gravitas with cartooning verve and creates a richly textured, dog’s-eye view of the world.” Good Dog is coming this April from Fantagraphics. Check it out at Amazon.